I had 2 loaner cars before I purchased my own. All three had the same rattling sounds coming from the passenger side dash area. I tried all the things mentioned here regarding the glove box. 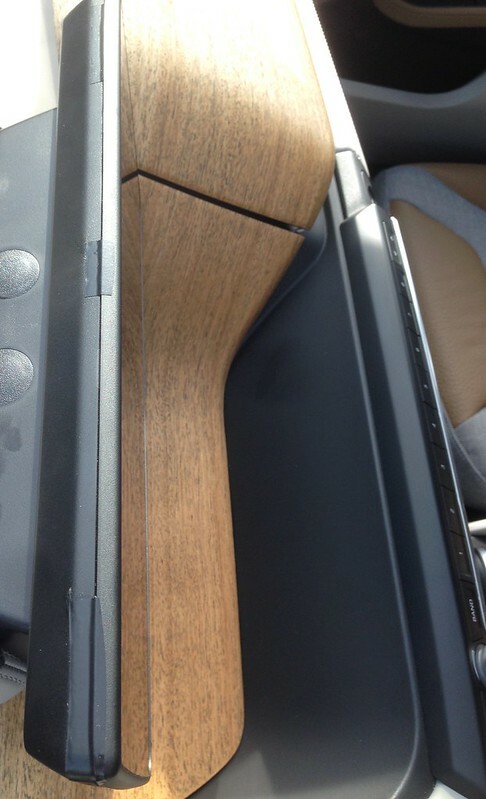 Turns out the major offender is the passenger side dash vent! First lock the vent in fully open position. Then remove it from the dash by pulling it straight out (just like JelloSlug describes). Now flip it over. You can now see the mechanism that controls the opening and closing of the vent. In the fully open position it is VERY loose on mine, causing rattles over the slightest bumps or vibrations. I put some felt tape on the mechanism and it has reduced the rattling by 90%. *** Be careful when removing and replacing the vent *** Put some tape on the leather or vinyl on the left side of the opening so that you do not cut the material when reinserting the vent. You can verify if the rattles are related to the dash vent by removing it and driving around. Another source is the cabling for the glove box light. With the passenger side vent removed. reach in and feel around for the cable. It is loose enough and close enough to a plastic structure that it easily hits it causing a tapping / clicking sound. I taped that down. My car still has periodic clicking sounds but not like it was before I did the work. I guessing that the 20-inch wheels combined with BMW's very firm / stiff ride is exacerbating this issues. Isnt it wonderful that owners have to do this on a $50,000 car...... The Ultimate Driving Machine: after you spend an hour taping loose parts! WoodlandHills wrote: Isnt it wonderful that owners have to do this on a $50,000 car...... The Ultimate Driving Machine: after you spend an hour taping loose parts! This is rather common in BMWs. This is our first BMW, we had a few Mercedes in the past and of course various Japanese brands, never had to break out the Velcro and tape for DIY Final Assembly before. Since this is a lease, we can live with a few rattles although it is a disappointment. More annoying are the electronic sort of glitches, like the garage door opener only working 1/2 the time for me and 100% of the time for my wife, like having to reconfigure practically everything in the car after getting out for a moment, like the semi-automatic climate control, that is the kind of thing that can make me look elsewhere for our next EV. To follow Kilgharrah94027 and JelloSlug's leads, I pulled out the passenger vent assembly last night and agree that it contributes significantly to rattles on that side. I didn't have any felt tape on me, so I couldn't tape the lever as suggested. Kilgharrah94027 --- did you just tape the long ball-socketed arm so it doesn't flap against itself? I put some velcro tape along the bottom horizontal stretch of plastic on the dash side just above the upholstered section in the even it hits against that (thought I don't think it does). 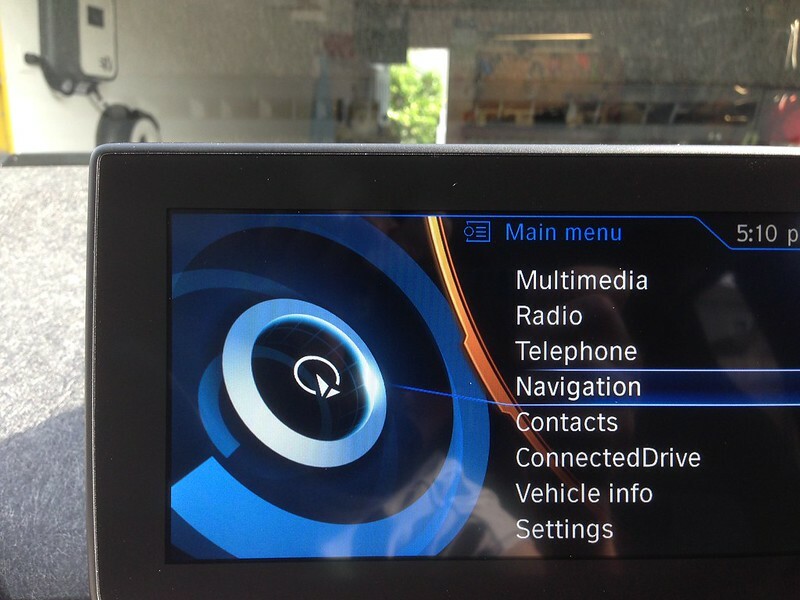 For me, I believe my biggest source of noise annoyance is from the NAV screen bezel. It is just loose enough on the top that it creates a creak and consistent rattle/vibration at times with the small amount of flex and give on it. To test, I put a couple pieces of electrical tap across the top and it definitely helped a lot. I don't know how this would really be remediated, as I don't want to attempt un-snapping/re-snapping that bezel in the event that it broke I probably will just take a clean strip of tape across the whole top and it won't be as visually noticeable. I doubt the dealer would replace that whole screen or bezel, but maybe tape under the bezel would make it tighter. WoodlandHills wrote: This is our first BMW, we had a few Mercedes in the past and of course various Japanese brands, never had to break out the Velcro and tape for DIY Final Assembly before. Since this is a lease, we can live with a few rattles although it is a disappointment. More annoying are the electronic sort of glitches, like the garage door opener only working 1/2 the time for me and 100% of the time for my wife, like having to reconfigure practically everything in the car after getting out for a moment, like the semi-automatic climate control, that is the kind of thing that can make me look elsewhere for our next EV. I absolutely love my i3, but I would unfortunately have to agree. I remember when I bought my Volt three years ago being concerned that the build quality was going to be shotty, but it was one of the most solid and reliable cars I've ever owned. I guess vanity comes with a price! kylemcooper wrote: To follow Kilgharrah94027 and JelloSlug's leads, I pulled out the passenger vent assembly last night and agree that it contributes significantly to rattles on that side. I didn't have any felt tape on me, so I couldn't tape the lever as suggested. Kilgharrah94027 --- did you just tape the long ball-socketed arm so it doesn't flap against itself? I put some velcro tape along the bottom horizontal stretch of plastic on the dash side just above the upholstered section in the even it hits against that (thought I don't think it does). I use for the really, really tight applications, like the metal clips you see on the vent itself. It is the same stuff BMW uses. You can find it on eBay in various widths and lengths. I just had a dash rattle fixed with no problem by my local BMW i dealer - Arden BMW in Maidstone. So I don't know why anyone would mess with the car themselves while it is under warranty ? The rattle came from the glove compartment, and was noticeable when driving over slightly bumpy roads. It stopped when opening the glove compartment. The service department found the source quickly, it turned out two panels behind the glove compartment were rubbing/ bumping against each other. They inserted some felt in between and the noise stopped. It shouldn't happen but the service was top notch - picked up from work, kept me informed throughout the day on progress, and took the car back, cleaned and fixed. BMW i3 BEV - ordered 18th Dec 2014, at dealer 26th Feb 2015, delivered 16th Mar 2015. Spec: Ionic Silver, Suite, Harman Kardon, Driving Assistant Plus, Media BMW Professional, 19" 428 Alloys, DC Rapid Charge Prep, Park Assist. DJCeeJay wrote: I just had a dash rattle fixed with no problem by my local BMW i dealer - Arden BMW in Maidstone. So I don't know why anyone would mess with the car themselves while it is under warranty ? Just had the same done here in San Jose. Tech found the source of the rattle and added some felt. Covered under factory warranty on my 12/15 CPO. They also lubed a bushing at the bottom of the steering column that "groaned" on low speed turns.